In 2015, I penned an editorial in The New York Times warning against the growing influence in Europe of Hungary’s right wing prime minister, Viktor Orbán. Last Sunday Orbán was re-elected for a third consecutive term. His hold on power is more entrenched than ever, and his xenophobic, nationalist platform continues to spread beyond Hungarian borders. As U.S. Ambassador to Hungary under President Obama from 2010 to 2013, I witnessed the rise of Orbán and the weakening of Hungarian democracy over just a few short years. Armed with a two-thirds supermajority in parliament, Orbán led the passage of 800 new laws and the adoption of a new constitution. His reforms dramatically reduced checks and balances. He weakened democratic institutions by reducing the independence of the media and by asserting political influence over the judiciary, academic institutions, and even religious institutions. Under my leadership, the U.S. Embassy expressed our concerns over these actions — both publicly and in private conversations with Orbán himself. Then-Secretary of State Hillary Clinton sounded an alarm in 2012, and accused the government of ushering in an era of “democratic backsliding” in Hungary. Soon after, Orbán declared that Hungary would no longer look to the West as a model for its political system, but would look to China, Turkey, and Russia instead. 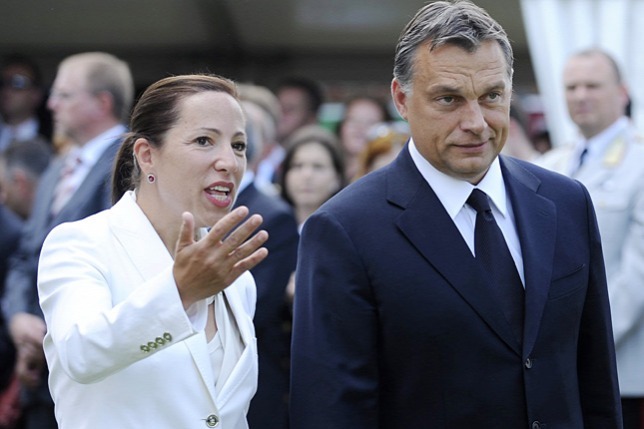 Eleni Kounalakis as ambassador, appearing with Viktor Orbán in 2010. 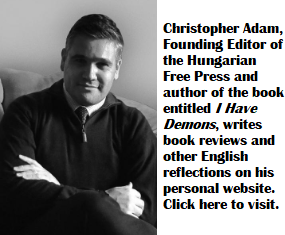 In 2015, when I published my memoir, Madam Ambassador, Three Years of Diplomacy, Dinner Parties and Democracy in Budapest, most realized that Europe and the West were facing a challenge with this EU member state and NATO ally. But few predicted that Orbán’s nationalistic message would spread beyond Hungary. Sadly, it has. In Poland, The Czech Republic, and Austria, right-wing leaders have all stolen chapters out of Viktor Orbán’s playbook, buoying their own political fortunes and consolidating power with their own strong-man strategies. And then of course, there is the election of Donald Trump as President of the United States. Trump never really acknowledged the fact that Orbán was the only European leader to endorse him during the 2016 presidential campaign, much to Orbán’s disappointment. But that hasn’t stopped Orbán from reveling in the election of an American leader whose political philosophy so closely tracks his own. Fueling hatred toward immigrants? Check. Threatening the free press? Check. Picking winners and losers among businesses? Check. Calling for the jailing of opposition leaders? Actually, Orbán hasn’t gone as far as Donald Trump on this one. Trump’s 2016 victory has been a boon for autocratic leaders everywhere. Both as a validator of their own heavy-handed approach to governance, and a symbol that winner-take-all leadership is back in fashion. Around the world, would-be autocrats are seizing the opportunity created by the election of Donald Trump to consolidate power as quickly and efficiently as possible. Professional diplomats in U.S. Embassies do what they can to push back, and attempt to continue our long-held practice of advocating for democratic norms. But with an American president exhibiting historic disdain for these norms, the once-respected views of U.S. diplomats abroad are easily, often conveniently, brushed aside. Former Secretary of State Madeleine Albright lamented in a recent op-ed in The New York Times that the ugly face of fascism and autocracy is more present across the globe today than at any time since the end of World War II. Last week’s overwhelming re-election of Viktor Orbán is one of the more troubling portraits in Europe in the past decade. The Organization for Security and Cooperation in Europe (OSCE) declared Sunday’s election free, but not entirely fair. Orbán’s stranglehold on the country’s institutions made it all but impossible for the opposition to compete. I heard Secretary Albright speak at a conference recently. She noted that checks and balances in our own democratic system should, theoretically, be strong enough to contain actions by any president who seeks to undermine our system, consolidate undue power, and weaken our democracy. The world is holding its breath to see what happens when a would-be autocrat — Donald Trump — meets the world’s oldest and strongest democracy. I have faith that our system will prevail. But not without the active engagement of our citizenry. Democracy, at its root, is self-government: government of the people, by the people, for the people. And people around the world are paying attention. Eleni Kounalakis was U.S. Ambassador to Hungary under President Obama from 2010 to 2013 and is currently running for Lieutenant Governor in California. The burning of Judas yearly in Greece, Europe’s leading anti Semitic country who even today refuses to acknowledge their role during the second war against the Jews, this is what Miss Kounalakis should concern herself with being Greek – “tend to your own garden, before you hop into your neighbors”…..
Dear Eleni Kounalakis. Keep in mind that the only reason the liberal Western World is seeing a revolt is because of your failures, not because of Orban. Orban is a symptom and response to such failures. Economic failure when it comes to taking care of most constituents has played a major role. We are the first Western World generation that is set to have it worse than our parents since WW2. We are upset about that, and so are our parents. You failed to listen to us when we say we do not want ethno-cultural suicide through mass-colonization. You attacked us for even daring to say it, even though especially in Europe we have every right to say it, because we are as native to the land as the natives & their land your country was built on. We do not want to become those natives and yes we do have the moral high-ground in this argument. You tried to tell us that people who are paying thousands of dollars each to get smuggled into the EU are “refugees”, even though they illegally crossed multiple safe countries to get to the promised land. You should take a trip to Turkey and see the real refugees if you wish to get a clue. The EU is spending about $20,000/year per smuggled migrant settled in the EU, while 10% of that could make a huge difference for each and every actual refugee living around the world, most of which are living in truly horrible conditions. But helping refugees was never the goal, but rather the ideological social experiment you are trying to impose on us. You don’t want to see the spread of populism? Start listening & delivering. On economy, on handling the migrant crisis Orban has actually delivered, even though most of you are still in denial about that. Why should Hungarians choose to replace him and go back to those who did not deliver? Why should Western constituents stick with elites and an ideological dogma that is failing them? There he goes again with his same old drivel “You failed to listen to us when we say we do not want ethno-cultural suicide through mass-colonization.” There is no such thing happening in Hungary. In Hungary people overestimate the number of immigrants living in the country by 4 times. The number is around 2%. You are a fool if you think that is either mass colonization or an ethno-cultural threat. But, you’re a fearful bigot, so it is no surprise this is your obsession. In Hungary people are refusing to take the first step along the road taken by Western countries decades ago. Every journey begins with a first step and the wise thing to do is to avoid that path altogether. You are making a false argument, as usual! Where did you get this BS from – daily stormer, braithbart? “In Hungary people” receive the mushroom treatment: they are being kept in the dark, fed BS* and intensively harvested. * The Orban regime spends at least 140 billion Ft per year on propaganda (compared to 250 total on higher education – at the bottom of the OECD listing). A slow cultural genocide, without a single migrant. “* The Orban regime spends at least 140 billion Ft per year on propaganda (compared to 250 total on higher education – at the bottom of the OECD listing).” Pretty much in line with Hungary’s GDP/capita. which is also near the bottom. Mostly thanks to the economic fiasco inherited from previous government. Thankfully at least now there is some steady catching up for the past half decade or so. – number of students 20% down, gov funded places 40% down. The economic development before 2010, 2008 crisis considered, was better than 2011-2017, as we have set out on many occasions, eg. 3.5-4% GDP growth while receiving 5-6% GDP of EU funds, 1-1.5% GDP migrants’ transfers and not paying the pre 2010 1%GDP pension funds contribution. eg. the current 3.5-4% GDP ……. Yes but in 2009 Hungary was already on IMF life suport and between 2002-2010 its debt/GDP increased from about 54% to 82%. Clearly not a sustainable situation. Do you think Hungary should take a similar path again? 2 steps forward & five steps back is not my idea of progress! This is a good piece and nice to hear from the former ambassador, but some would debate her when she writes about the US “attempt to continue our long-held practice of advocating for democratic norms” around the world. This is a very positive view of the motivations of US foreign policy. A darker view is that business and geopolitical considerations trump democratic considerations in Washington, and they have under both Republican and Democrat administrations. It’s good to hear the former ambassador’s critical views about a regime that is idolized by the Ku Klux Klan and the pro-Russian, white-supremacist movements in Europe and North America. It’s a pity, she was not as outspoken when she was sitting in her Ambassadorial chair in Budapest, sipping champagne and consuming fois gras, while Orbán was dismantling the pillars of democracy in Hungary, with the support of European and American capital. The main bulwark of Orbán’s power is the German business class which invested heavily into keeping Hungary a cheap source of labor and profit for its multinational enterprises. It’s the same self serving financial class, that invested heavily into keeping successive and corrupt Greek governments hooked on its loans, as they robbed ordinary greeks blind of their assets and proud heritage. The German Central Bank bears more responsibility for the current rise of left-wing radicalism in Greece than the combined works of Marx-Engels-Lenin or Stalin. As my comments keep disappearing from this page also, please feel good about the comments that praise you and the author of this article too. This is the best way not to know what others think. Simply because Greece is a corrupt welfare state. They just kept borrowing and spending with no end in sight. The bakers were just plane stupid to lend to them. Stupidity is not a sin, you remember? Hillary and Obama were the “pro-Russians”. Hillary paid $12 million, Obama $ 792,000 for a former British spy to go to Moscow and dig up dirt on Trump. That is the real collusion ! The Muller investigation has disclosed that. Hillary and Obama and their FBI has colluded with Russia and some ex-KGB agents. Beside in that non-partisan law enforcement agency the leaders like Strozk and Page (FBI lawyers) were running a private campaign club for Hillary.